The use of single crystals for scientific and technological applications is now widespread in solid-state physics, optics, electronics, materials science, and geophysics. An understanding of the variation of physical properties with crystalline direction is essential to maximize the performance of solid-state devices. 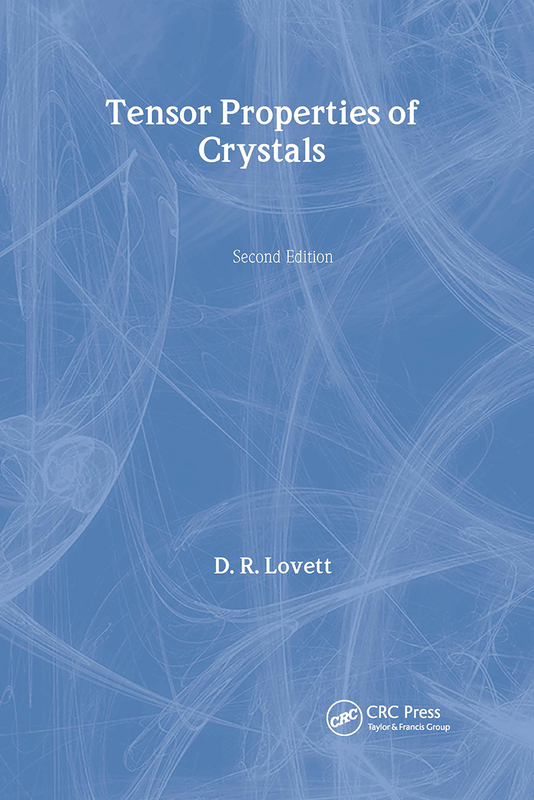 Written from a physical viewpoint and avoiding advanced mathematics, Tensor Properties of Crystals provides a concise introduction to the tensor properties of crystals at a level suitable for advanced undergraduate and graduate students. While retaining the successful basic format of the well-known first edition, this second edition brings the material up to date with the latest developments in nonlinear optics and modulated structures. Because of the increasing importance of nonlinear optics, a new chapter on optoelectronics has been added. This edition also includes a short discussion on incommensurate modulated structures in the final chapter because they are relevant to high temperature superconductors and to ferroelectric and ferromagnetic materials. The book extensively contains diagrams, worked examples, and problems with answers throughout.